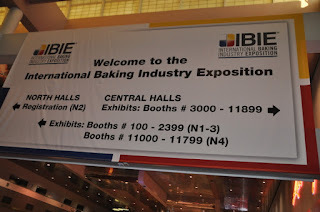 The International Baking Industry Exposition held on October 8-11, 2016 is also known as the Baking Expo and is one of the largest baking trade show in North America. 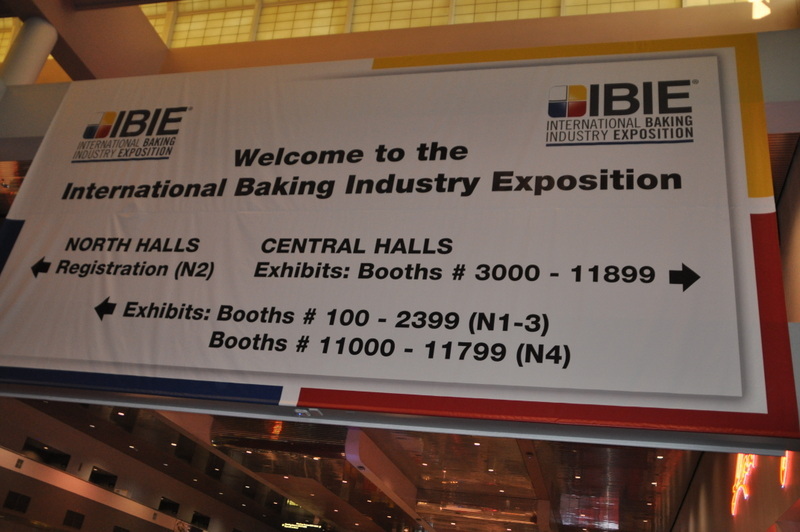 It features over 900 companies and 20,000 baking professionals that takes place in the 3,000 sq. ft. Las Vegas Convention Center. 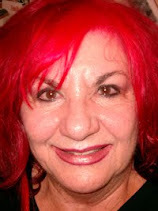 It takes place every three years and features new trends and equipment and amazing educational seminars. The attendees come from over 100 countries, as far away as China, Mexico, Brazil, India, South America, Middle East, Asia and Japan. A highlight of the Expo is the American Cake Decorating Demo Theater and the One Demonstrating Theater by Revent that features daily demos by Celebrity Chefs. The Great American Pie Festival is a popular booth to visit and eat to your hearts content all of their delicious pies. 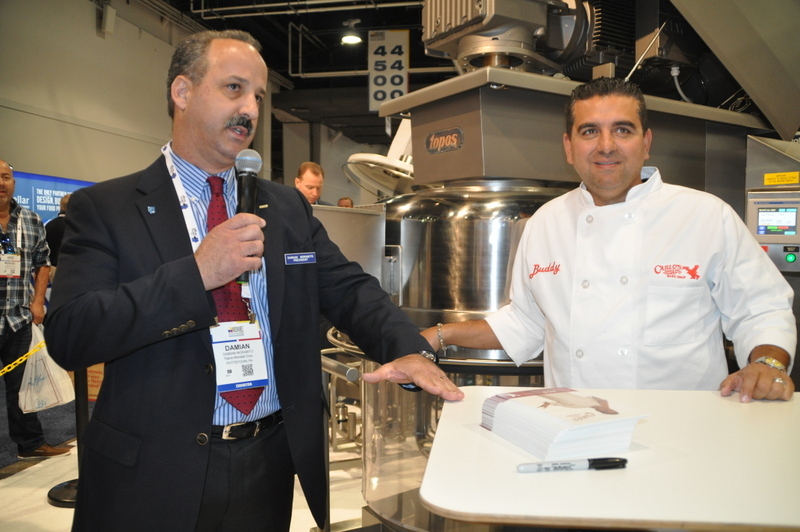 Baking professionals from around the globe are expected to attend and the chefs will be sharing their secrets and tips and bring their recipes to life, showing new techniques and samplings of their goodies. Once again there will be a cake baking contest that will be created and judged for the best in show. 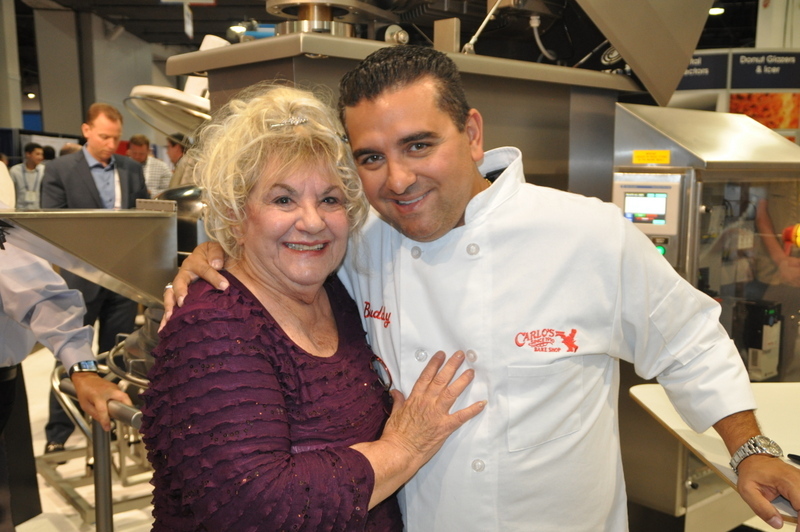 Buddy Valastro celebrity chef and TV reality star of Cake Boss was the guest chef at the Topos Mondail booth and showed the new machine he will have in his Carlos Bake Shop in Jersey City New Jersey. 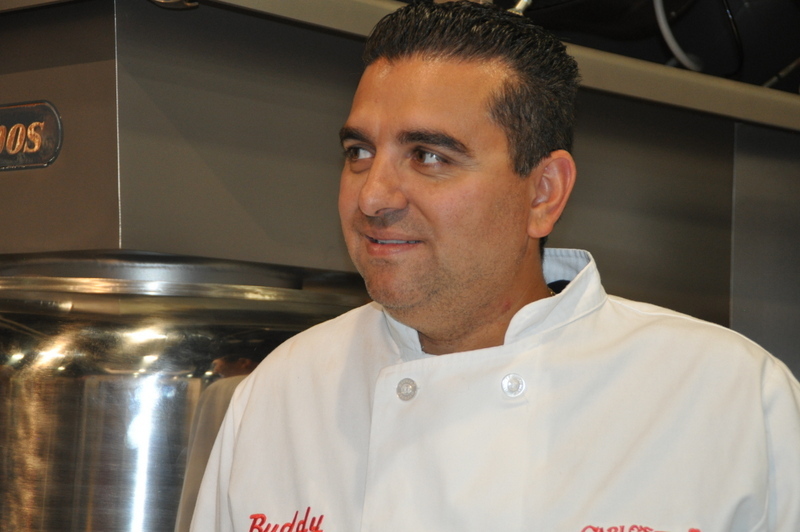 Buddy also has Buddy V’s in the Grand Canal Shop at the Venetian in Las Vegas. Buddy started working in his father’s bakery at the age of 11 and by age 15 he became a cake decorator. Buddy is loved by all his fans and it was a delight to meet Buddy again.